It is no secret that historically black colleges and universities have been struggling financially. Bennett College even made headlines when their financial struggles caused them to launch a fundraiser in efforts to not lose their accreditation. Alpha Kappa Alpha Sorority Inc. has announced plans to help keep our HBCU’s doors open. The oldest black sorority has vowed to donate $10 million to historically black colleges and universities over the next four years, according to The Root. 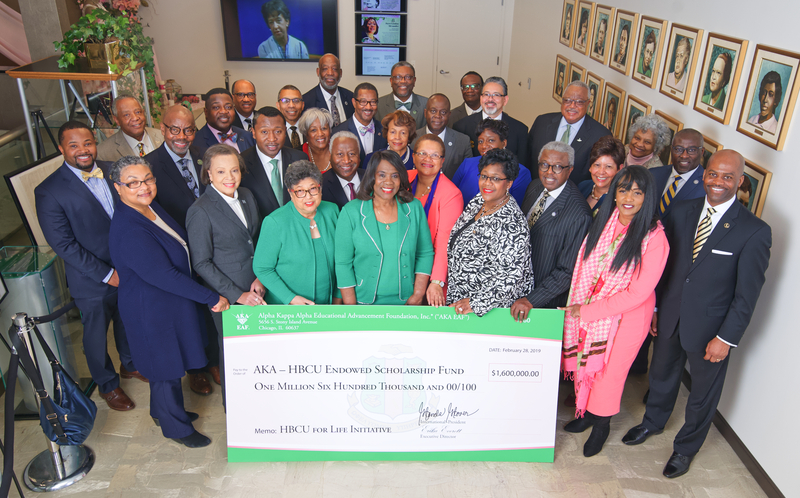 For their first installment, the sorority’s International President Dr. Glenda Glover announced that they are donating $50,000 to 32 HBCUs, equaling $1.6 million. This hefty donation is being gifted through their Alpha Kappa Alpha Educational AAdvancement Foundation. Not only is Dr. Glover the president of a HBCU, Tennessee State University, but she has also received all of her college degrees from black schools. So when she saw these schools across the south struggling it hit home. One of the first donations was made to Bennett College. Other college recipients include Norfolk State University, South Carolina State University, Albany State University, Lincoln University, Coppin State University, Grambling State University and a host of others.